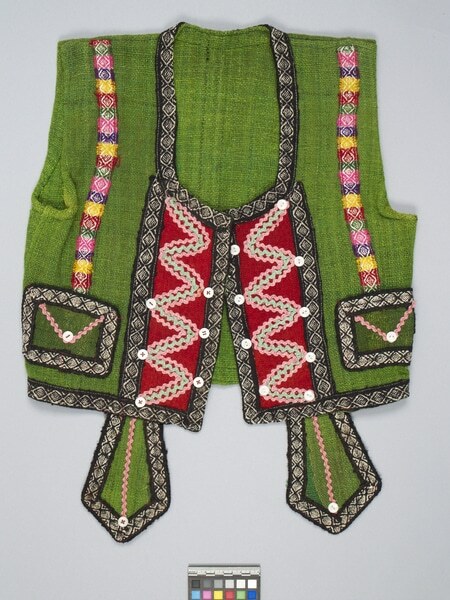 Vest made of woolen plain-weave cloth and adorned with white buttons, embroidery bands, pockets and colourful fabric appliqués. Rectangular pockets with embroidery bands at borders of geometric motifs forming large roses. Curved woven strips in the interior forming an inverted triangle with one button. Two bands in the centre front of red fabric and curved strips on pink and green in interior. Two protruding ties are hanging from front with embroidery bands of large rose designs. Pink curved vertical strips in the middle of ties. 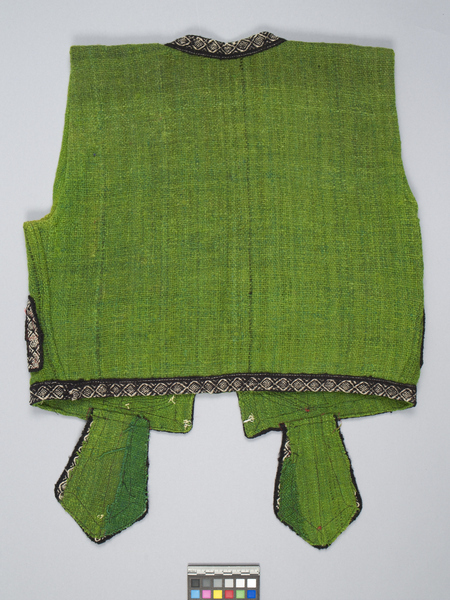 Worn by Bolivian women from the Lake Titicaca area.